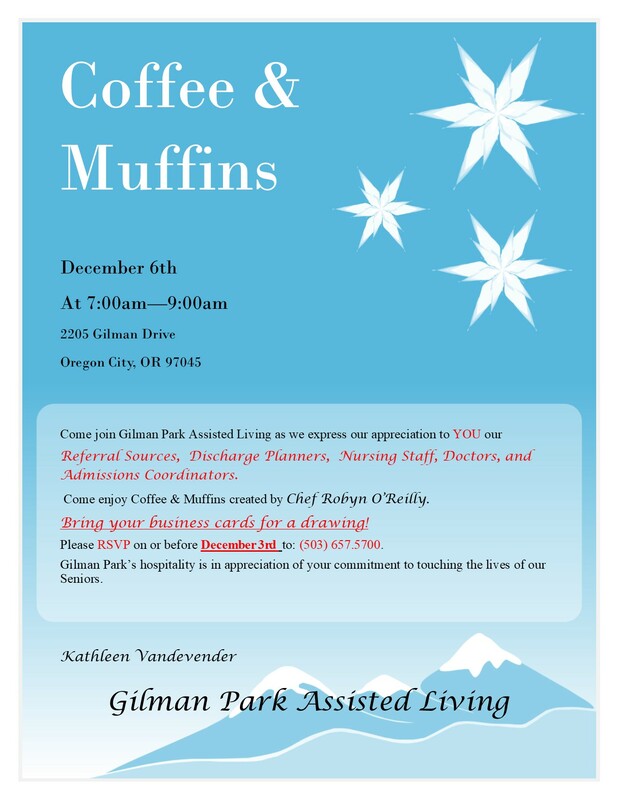 Come join Gilman Park Assisted Living as we express our appreciation to YOU our Referral Sources, Discharge Planners, Nursing Staff, Doctors, and Admissions Coordinators. Come enjoy Coffee & Muffins created by Chef Robyn O’Reilly. Bring your business cards for a drawing! Please RSVP on or before December 3rd to: (503) 657.5700. 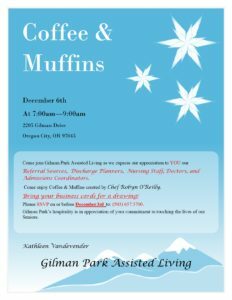 Gilman Park’s hospitality is in appreciation of your commitment to touching the lives of our Seniors.